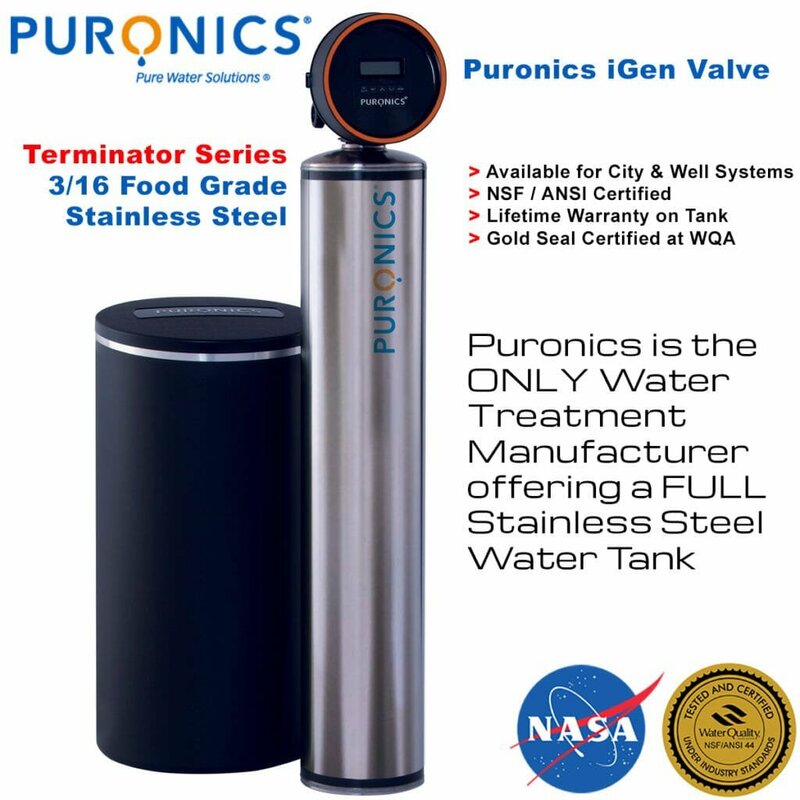 The Puronics Terminator Series come with a 3/16 Food Grade Stainless Steel Water Tank, which is considered to be the premier “top of the line” water treatment tank. The Terminator Series are available for City Water Treatment Systems or Well Water Treatment Systems. The tanks are ANSI / NSF Food Grade Certified. Puronics is the only manufacturer offering a 3/16 Full Stainless Steel Water Tank, other brands are using a Stainless Steel “jacket” or a slide over cover. The Puronics Terminator features SilverShield Carbon, which has NASA Silver Ion Technology infused with the carbon, this prevents bacteriostasis inside the tank and also helps produce superior quality water. 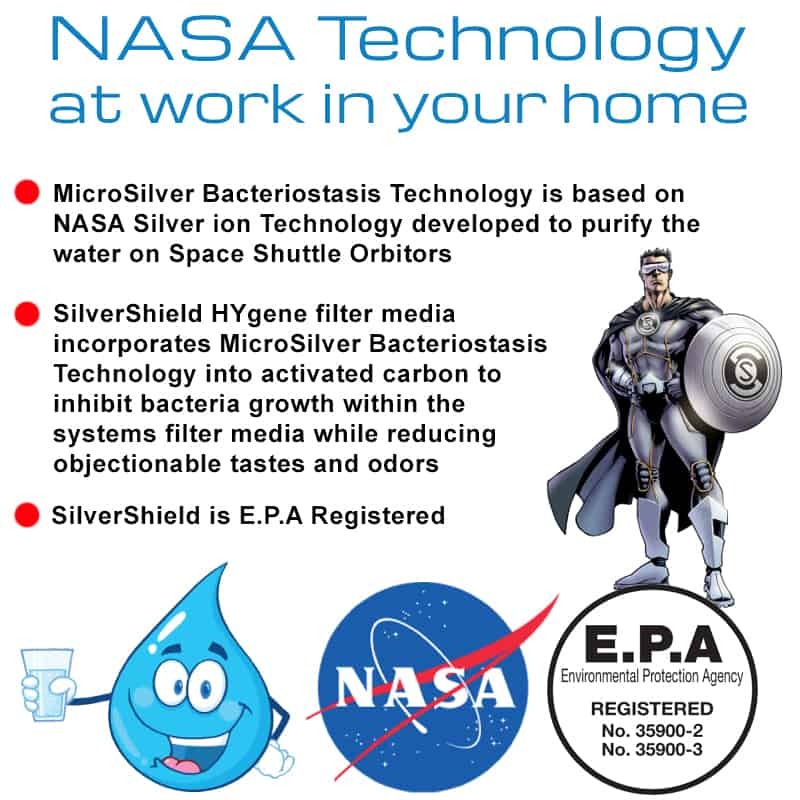 SilverShield was co-developed by NASA and Puronics in 1981 to treat the water on the Space Shuttles and Orbiters. The carbon itself is high absorption carbon which eliminates tastes and odors from the water which may result from chemicals like chlorine or chloramines used by cities and municipalities to treat the water against germs and bacteria, as well as removing other impurities which may exist in the water from contaminants which may have seeped into the ground water from agricultural waste, industrial waste or mineral deposits.